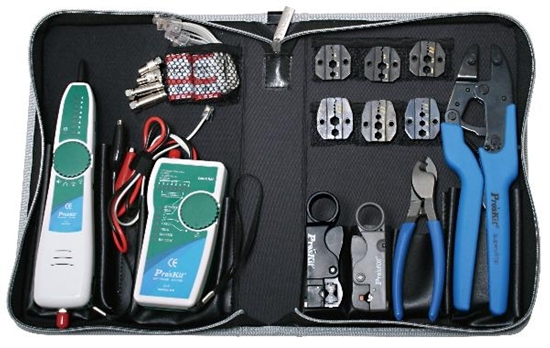 This HDTV tool kit is a professional grade tool kit for cutting, stripping, crimping and testing coaxial cable connections of HDTV, video and RF communications. Special Offer - Save $63 off the normal price! * All-in-One Toner & Probe kit offers traces and locates cables quickly and easily. * The new Pro-Crimpers with 6 die sets for most HDTV, CATV applications. * Forged Cable Cutter for cutting aluminum and copper cables up to 25mm. How do I order the HDTV Video RF Coaxial Cable Tool Kit? 2. Call us at (800) 321-2155 and ask for 02-724. Order your HDTV Video RF Coaxial Cable Tool Kit today!